The innovation of modern technology is changing the way we shop. Retail stores are in the process of trying to anticipate the future changes that customers want to see in their stores and making it happen. 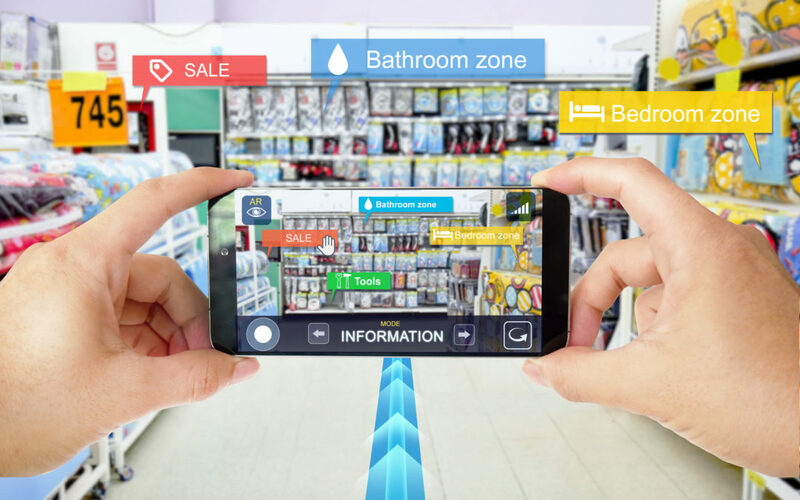 The retail experience of the future will include holograms, mobile check out abilities, and augmented reality technology. Here are 5 traits you will see in the retail store of the future. People want the convenience of not having to check out after completing their shopping. Grab-and-go stores are the answer to this problem. This new concept of stores harnesses the technology of your mobile device to take inventory of everything that you pick up off of the shelves and put into your basket. When you leave the store and walk out the door, a charge is automatically placed on the card linked to your mobile device with the amount of the groceries you’ve left with. This means no more standing in line waiting for the cashier to scan all of your items and staying there to pay afterwards. Interactive robotic shopping assistants in brick and mortar retail stores help shoppers by answering simple questions the shopper may have about the store or a specific product. These shopping assistants create a more personalized shopping experience which will increase shopper satisfaction. Having a shopping trip that becomes personalized with the help of one of these robots might increase the rate of return and shoppers choosing to shop in store rather than online. One way retailers would use holographic images is to make it look like there are products lining the shelves. The representation of these products could regularly change to show the customers what’s available for purchase. Retailers can also use holograms to replace the traditional clothing mannequins throughout the store. Have you ever wanted to see exactly how a paint colour would look on your walls? Or how pieces of furniture could work in your living room? Augmented reality and virtual reality technology can make this possible. This new technology could even be helpful for clothing retailers. It has capabilities that allow the shopper to virtually try on clothing by seeing how it would work on their body. The shopper doesn’t have to waste time changing in and out of all the items of clothing and can make a quicker decision on what to purchase. Monitoring product inventory on the shelves is a full-time job, and the bigger the store, the more products to keep track of. A robotic worker who’s focused on maintaining stocked shelves could be the perfect solution to this problem. These robots could even alert the store when they run out of a product so that it gets reordered. Another use would be to check for items that are in the wrong location in the store and put them back where they’re supposed to be. These traits of the retail store of the future are ultimately created to improve the customers shopping experience. Implementing changes to help you understand your customer data could lead to increased profits plus loyal, returning customers. Here at Media Zest, we are experts in audio-visual communications. We help brands come up with audio and visual solutions from design to installation. Check out our blog for more information on retail, branding, and business trends.